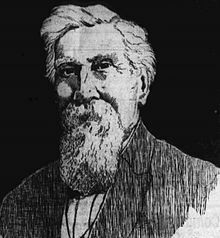 Today in Masonic History Francis Jardine "Frank" Bell passed away in 1927. Francis Jardine "Frank" Bell was an American politician and civil servant. Bell was born in Toronto, Upper Canada on January 28th, 1840. He received his education in the common schools of Canada. At the age of 18 Bell moved to Nevada to supervise the construction of a transcontinental telegraph line. The line extended from Utah, through Nevada and into California. In 1864, as part of his duties as a telegraph operator, Bell assisted in sending the Constitution of Nevada over the telegraph to Washington D.C.
Bell remained in Nevada and married Mary Poole in Reno in 1872. The couple had two children. From 1883 to 1887, Bell was the warden of the Nevada State Prison. In 1889, Bell was appointed by Governor Charles C. Stevenson to be Lieutenant Governor of Nevada. Approximately a year later, Stevenson signed a certificate of disability on September 1st, making Bell the acting Governor. Stevenson passed away from typhoid just 20 days later. When Bell became Governor he was the first foreign born Governor of the state and the Sixth Governor of Nevada. During the remaining term, until 1891 when a new Governor was elected, Bell continued the policies of Stevenson. Bell passed away February 13th, 1927 in Oakland, California at his daughters home. Bell was a member of Reno Lodge No.13 in Reno, Nevada. Bell also served as the Grand Master of Nevada.